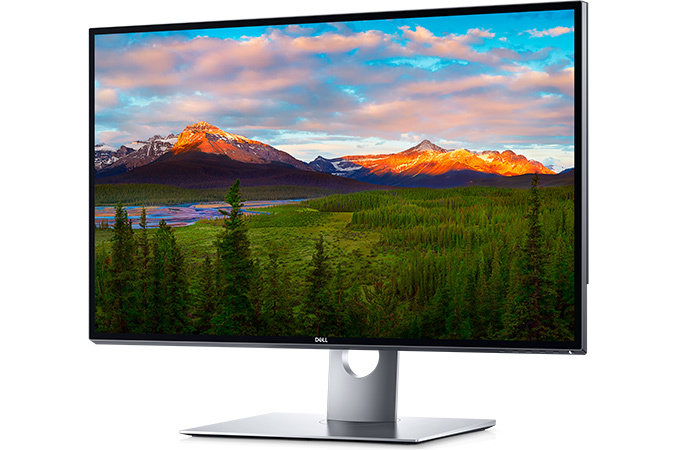 Dell introduced the industry’s first mass-market 8K display aimed at professional designers, engineers, photographers and software developers. The UP3218K will be available this March, but its rough $5,000 price tag will be rather high even for professionals dealing with content creation. That being said, $5K or so was the price that the original 4K MST monitors launched at in 2013, which perhaps makes this display price more palatable. On the other hand, right now an 8K professional display is such a niche product that the vast majority of users will have to wait a few years to see the price come down. Up to now, 8K reference displays were available only from Canon, in very low quantities and at very high prices. The displays were primarily aimed at video professionals from TV broadcasting companies like NHK, who are working on 8K (they call it Super Hi-Vision) content to be available over-the-air in select regions of Japan next year. A number of TV makers have also announced their ultra large 8K UHDTVs, but these are hardly found in retail. 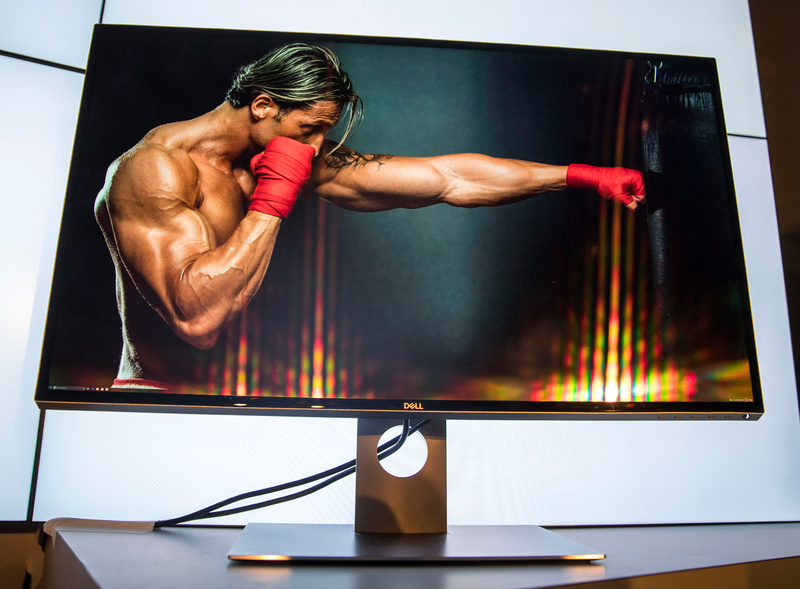 Overall, Dell is the first company to offer an 8K display that can be bought online by any individual with the money and be focused on the monitor market rather than TVs. At present, Dell is not publishing the full specifications of its UltraSharp 32 Ultra HD 8K monitor (UP3218K), but reveals key specs like resolution (7680×4320), contrast ratio (1300:1), brightness (400 nits), pixel density (280 ppi) as well as supported color spaces: 100% Adobe RGB and 100% sRGB. For interconnection with host PCs, as a single DisplayPort 1.3/1.4 cable does not provide enough bandwidth for the 7680×4320@60 Hz configuration Dell is targeting, the UltraSharp UP3218K uses two DisplayPort 1.3 inputs to provide the necessary bandwidth, stitching the two display streams together internally using tiling. This is similar to early 5K displays, which used a pair of DisplayPort cables to get around the bandwidth limitations of DisplayPort 1.2. Using two cables not a big problem given the target market, but it's interesting to note that because 7680×4320@60Hz alone consumes all of the bandwidth supplied by the two cables, there isn't any leftover bandwidth to support HDR or the Rec. 2020 color space. On a side note, while the company could have used DisplayPort 1.4's Display Stream Compression 1.2 (DSC) feature to reduce the bandwidth requirements of the monitor, they opted not to. DSC is promoted as visually lossless, but given how demanding many professionals are and problems that potential artifacts introduced by DSC could bring, Dell decided to stick to two DisplayPort cables as a result. While a high display resolution is good for photos and images, it also makes everything smaller; and while modern operating systems support scaling, it does not work perfectly for all programs. It's likely that professional applications like AutoCAD or Photoshop will support 8K the day the UltraSharp UP3218K hits the market, but general use applications, already struggling with 4K and HiDPI in general, will be another matter. Practically speaking, if the price tag alone isn't convincing enough that this is a monitor for specific editing tasks and not for general desktop usage, then the lack of good HiDPI support elsewhere will. And while I'm sure someone will try to use the UP3218K as a gaming display, at four times the resolution of a 4K monitor, we're at least a few years off from GPUs being able to render high-fidelity games at a 33Mpix resolution. Dell promised to start sales of the Dell UltraSharp 32 Ultra HD 8K monitor (UP3218K) on March 23 on its web-site. Initially, the monitor is stated to cost $4999. Time to put in some hardware requisition forms. 4K is actually 4K. It's based of the DCI-4K standard. 3840x2160 = UHD = Ultra High Definition.